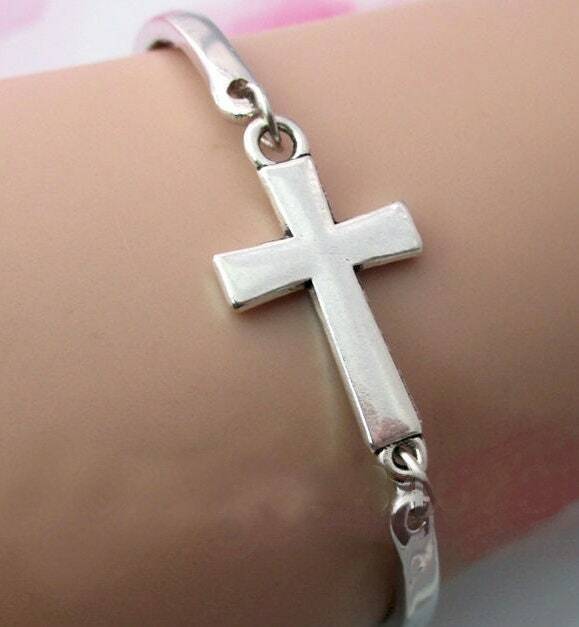 Silver Cuff Cross Bracelet. 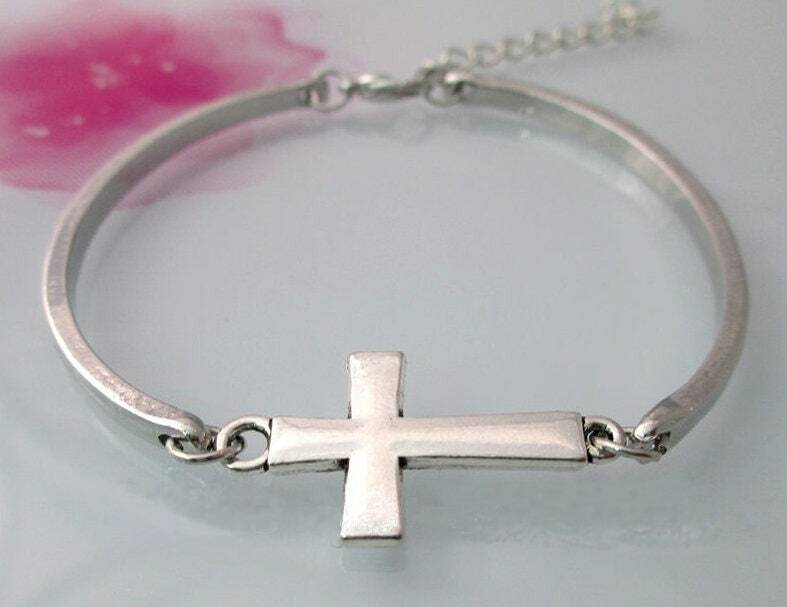 3 Piece Link Design has a heavy feel and lays down very comfortably. Lobster clasp closure for positive lock.